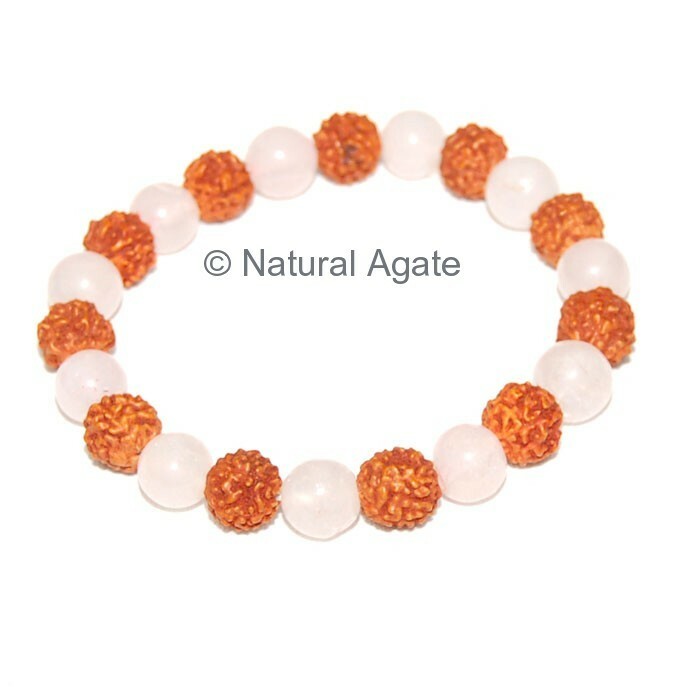 Rose Quartz-Rudraksha Bracelet is a different and unique bracelet. It carries the property of rose quartz as well as of rudraksha. It is available on Natural Agate at a fair price. Rudraksha holds mystical power and symbolizes Lord Shiva.